We have been featuring several dollhouses recently for some reason however instead of being a straightforward plaything, this one from Tokyo-based design agency Torafu Architects doubles as furniture. 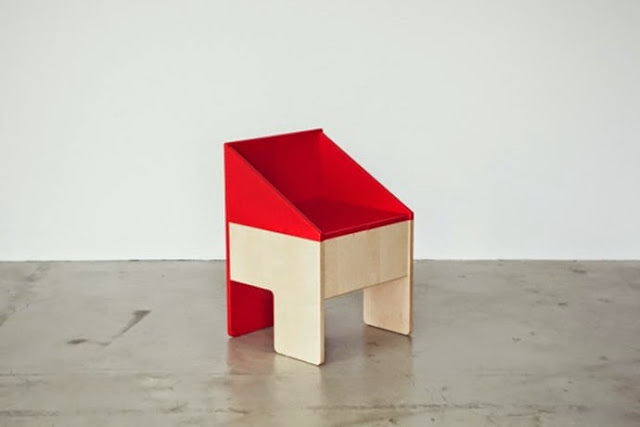 The clean lines of the chair hides a big secret: the back is hinged so when it is opened a hidden area that can be used for toys, books, art supplies or as a multi room dollhouse is revealed. 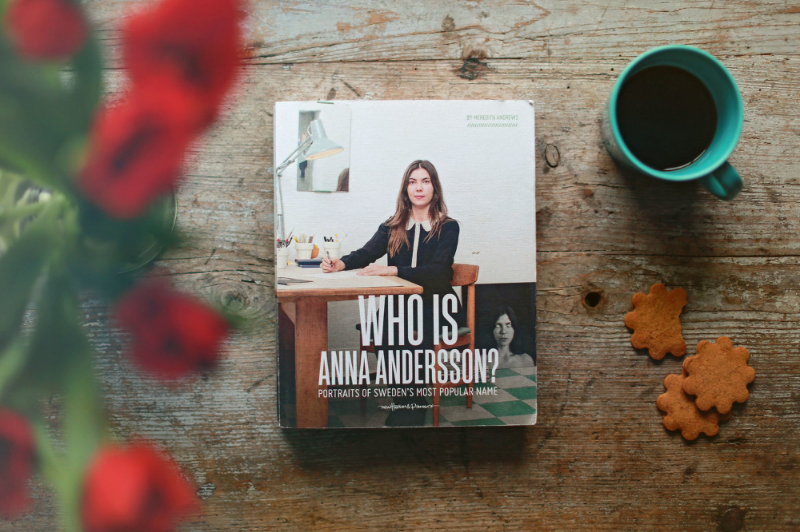 In 2014, Bermudian photographer Meredith Andrews travelled throughout Sweden photographing women with that country's most popular name: Anna Andersson. Armed with a camera, Andrews sought to answer the conundrum what, if anything, these women had in common apart from their name. The answer was far from simple and revealed a surprising amount of diversity in what is usually perceived to be a very homogenous society. In the end, the project was catalogued in book form featuring 50 intimate portraits of women and their personal stories. Who is Anna Andersson? is available here. 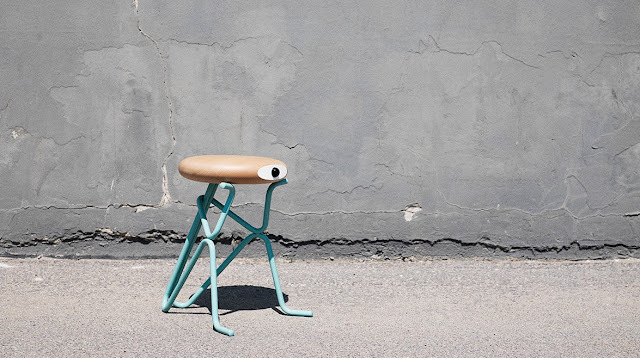 These whimsical cyclops stools produced in Denmark and Germany are designed to be used as seating or as a piece of art. Called the Companion, the stool comes in two different styles: the Companion and the Companion 4 legs. The seat of the stool is made of clear–coated solid wood and is available in oak, beach or mahogany. The tubular legs are made of powder-coated steel and are available in four different colours – black, white, yellow and blue. We were sorry to have missed this exhibition as it opened at the Brooklyn Museum the day after we left New York in February. 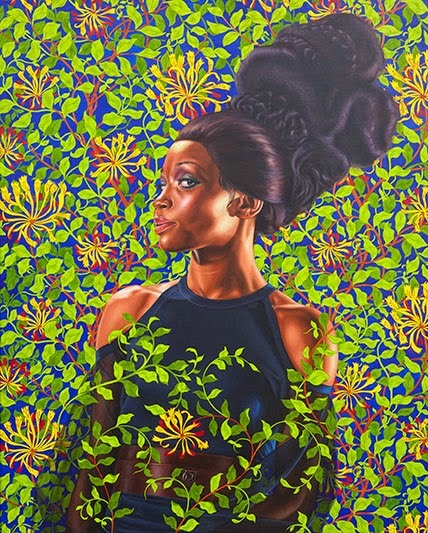 A New Republic was a snapshot of artist Kehinde Wiley's 14 year career and included 60 paintings and sculptures. A rising star in the art world (you can see several of his oversized pieces gracing the background of Fox's hit TV show Empire), Wiley's subjects are famously recruited by open audition or street casting. It is a truly collaborative process with models being asked to choose a reproduction of a painting from a book which is then re-enacted. In this manner, subjects are given a measure of control over the manner in which they are portrayed by Wiley. By depicting contemporary African American men and women in settings more commonly associated with traditional European portraiture, Wiley's art is intended to raise questions about race, gender and the politics of representation. 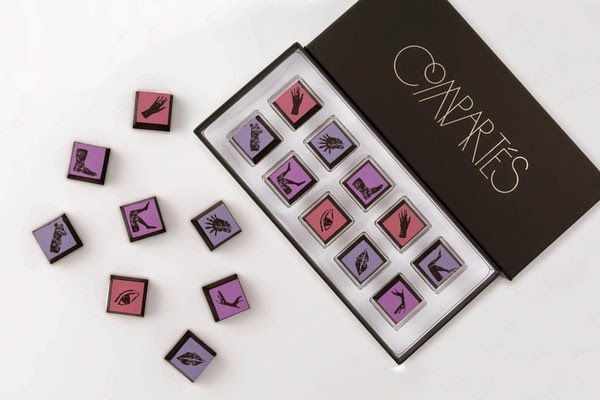 Kelly Wearstler has joined forces with Compartés to reinterpret her signature raw and refined aesthetic in a 10-piece selection of single origin, organic, dark chocolate salted caramel truffles. Each handmade, cube-shaped truffle is topped with figural art rendered in shades of pink and plum. 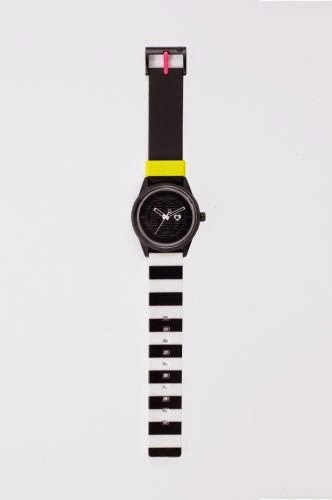 We bought one of the original Q&Q solar watches recently, and while we love our purchase we can't help but wish that this fun collaboration between the company and Gwen Stefani had been around then. The Harajuku Lovers watch collaboration features statement timepieces covered in playful prints and bright pops of colour. We like the simple, spare lines of the Rigo Letto which has been designed for Formabilio by Arianna Giovacchini. 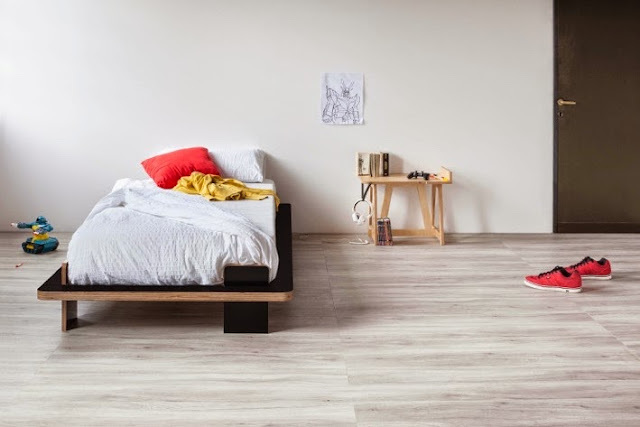 Manufactured as a single or a double, the bed is made of plywood painted with water-based varnish and has an exposed, naked edge designed to mimic the sparseness of a Japanese futon and tatami mat. The mattress is held in place by simple tab like features which also double as the legs of the bed. In spite of its oriental influences, the bed is ideal for sparse, minimal living and modern bedrooms. French brand Petit Bateau is doing a capsule collection with French designer Jean-Charles de Castelbajac, a designer who is well known for his bright, colourful designs and Pop Art influences. 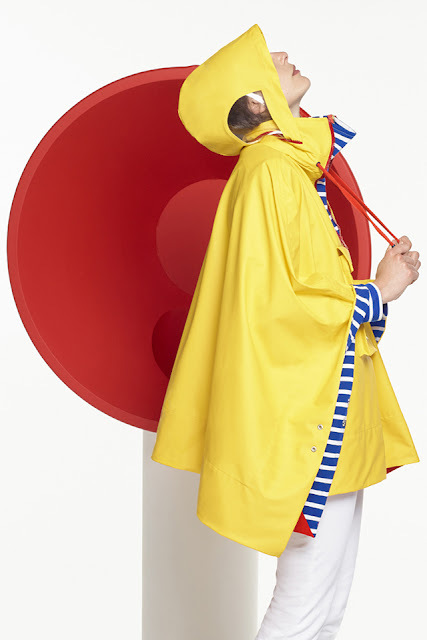 The collection will be made up of twelve items for both children and adults all rendered in primary colours, including a bright yellow rain poncho with clear panelling and t-shirts with whimsical illustrations inspired by de Castelbajac's grandson Balthazar. 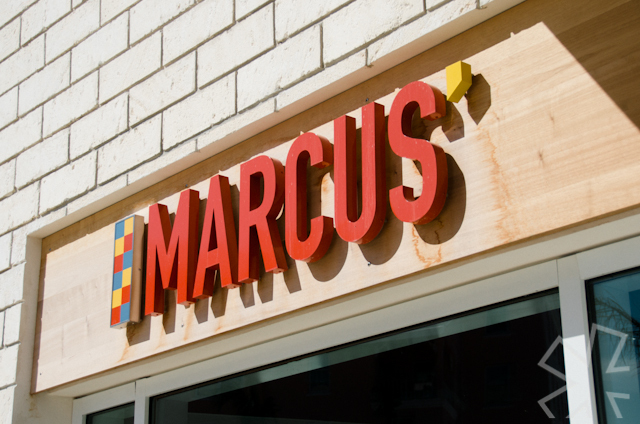 We have been teasing this review for quite a while, and so are pleased to report that we had our first look at Marcus Samuelsson's new restaurant Marcus' at the beginning of June. Located at the Hamilton Princess hotel, the restaurant, which opened on May 27, has a creative menu that features a mix of international and local dishes as interpreted by Samuelsson and executed by executive chef Leonardo Marino, who formerly worked at Samuelsson's Red Rooster restaurant in Harlem. Situated in what was the former Gazebo Room overlooking Hamilton harbour and the newly constructed marina, the restaurant features lofty ceilings and picture windows which are clearly designed to make the most of the views. Wrapping around the outside of the restaurant is a sunken, curving veranda where clusters of seats, chairs and tables have been set up for patrons to enjoy drinks or a meal. The lowered balcony ensures that the 180° views of the water are not obscured for the diners inside. Coincidentally, the seating includes the Huron sofa from West Elm which we featured last month. The decor is elegantly rustic with a nautical theme prevailing throughout. The main dining room is open to the kitchen which extends over two floors and houses a wood-burning grill. There is a large central bar with banquettes for smaller meals or drinks, and a private room behind oversized double doors which is intended to be used as a dining room or meeting space. The exclamation point on the entire setting however must be the impressive artwork from the owners' private collection and which includes pieces by Nelson Mandela, Andy Warhol, Shepard Fairey, Speedy Graphito and Wang Guangyi. Daniel Heer's Keil table and tray is an attractive and functional use of wood and leather. 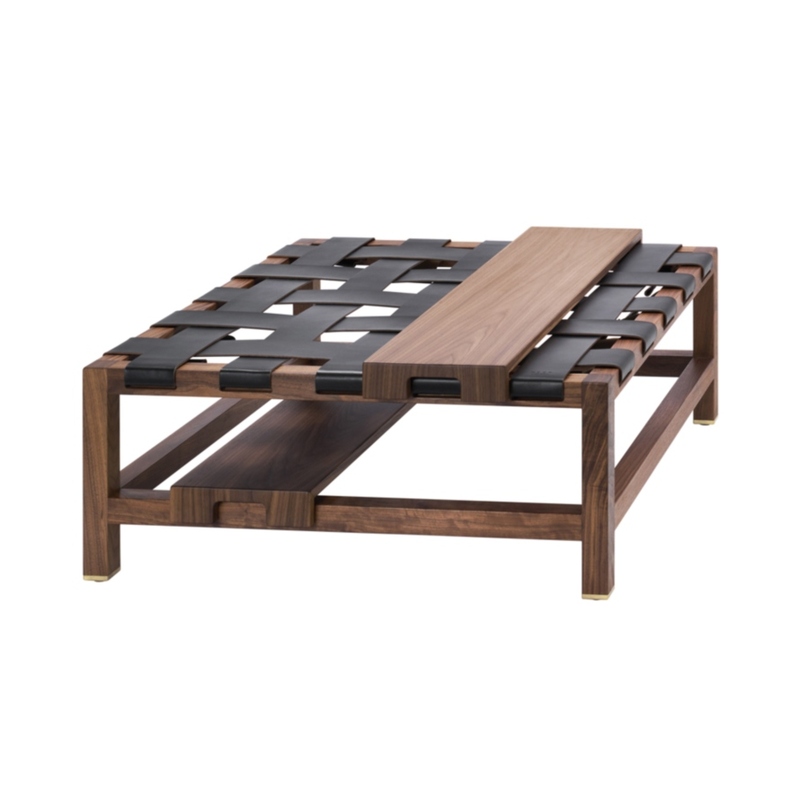 Woven leather strips become the top of the table while two 'floating' wooden trays that can be set in various positions provides stable surfaces. The Keil Table also becomes a seat when used in combination with a horsehair cushion. 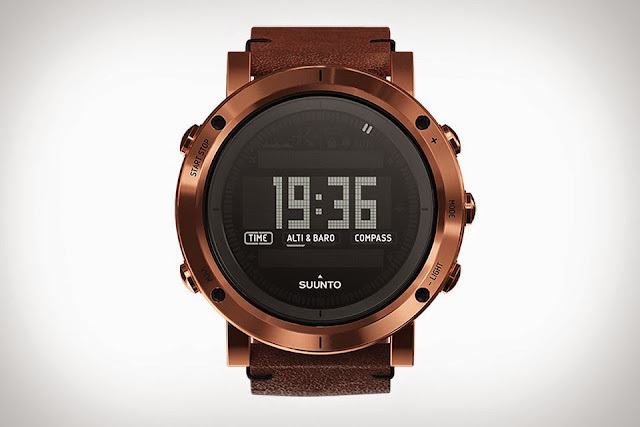 The traditional, rugged looking Suunto watch has been given a more refined makeover with this the Essential Sport Watch which is handmade in Finland. We love the unusual digital face housed in a stainless steel case with sapphire crystal glass and your choice of leather or textile straps. With a nod to its heritage, other useful functions include an altimeter, barometer, compass, sunrise/sunset display, temperature display, storm alarm, a depth meter for snorkelling and dual time modes. 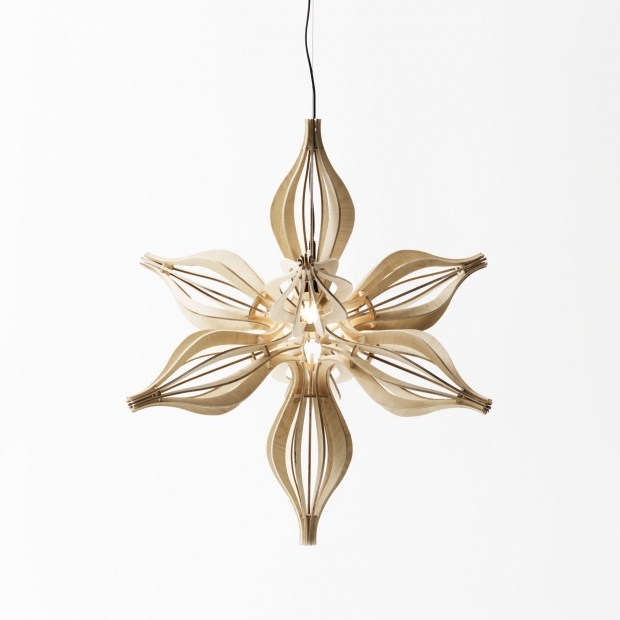 This stunning star-shaped pendant is the Anise lighting fixture from Australian-based Earl Pinto. Available in natural or laminated ply (shown in natural European birch) but with custom colours and dimensions also available, the light is reminiscent of the Star Anise spice. 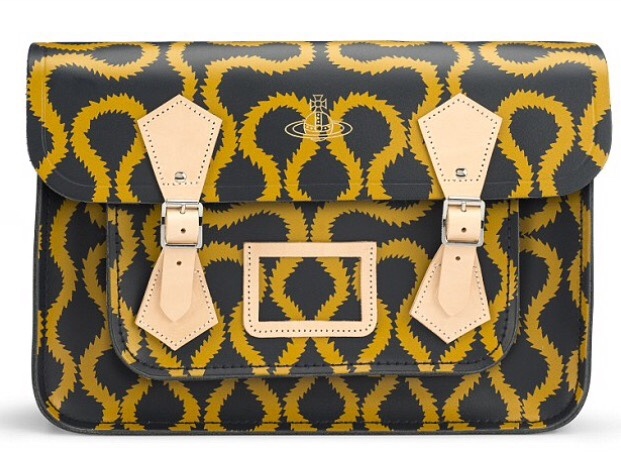 Last Wednesday saw the launch of the second collaboration between iconic English designer Dame Vivienne Westwood and trendy bag label The Cambridge Satchel Company who together have created a line of handcrafted satchels that are covered in Westwood's classic graphic print. The bags come in three different designs: The Music Bag, the Classic 14" Satchel and The Tiny, and four different colourways: classic navy and yellow, tea-rose and grey, jet green and black (exclusive to this collection) and oxblood leather. Perennial i*a favourite Meagan Wellman showed a thoughtful and well-executed collection at the Local Designer Show on Wednesday evening. 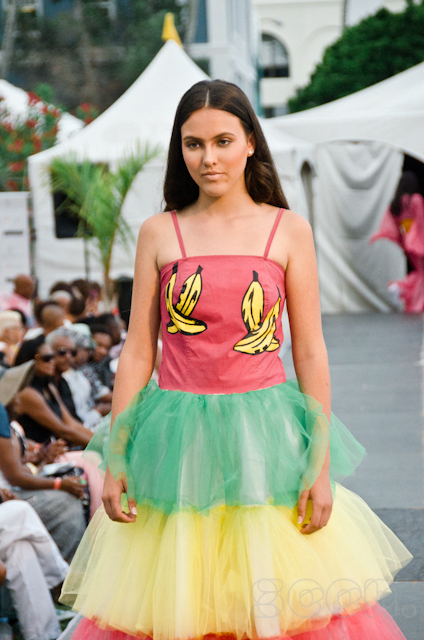 Drawing from her Bermudian roots, the collection was one of two to reference Cup Match, an annual cricket tournament which is held at the end of July between two groups representing different ends of the island. While this collection has been around for a while, this showing - the first on the island - was timely as Cup Match is only a few weeks away. An intelligent, polished collection, this was not the case of two random words being thrown together and clothes sent down a runway. It is evident that Wellman chooses her themes thoughtfully, carries out her research with care and pays close attention to every detail. Clever touches such as jeans with the outline of the leg pads used in cricket rendered as a graphic or the colours used, all subtly refer to the chosen subject. Standout pieces included a dress and jacket made of buttery soft, transparent vinyl, a floor-length shirt dress which skimmed across the body bisecting it in a long sweeping cut and gathered skirts and dresses overlaid with leather. Even the trickiest item in our opinion - a strapless, white jumpsuit which flared from the knee - had a beautiful fluidity to it. The weight, texture and construction of the garments also help to set her clothes apart. The materials Wellman uses are extremely tactile and the fabrics are carefully chosen and combined. Because of this, we think it is of the utmost importance that her clothes get picked up by retail locations as soon as possible. Aiding somewhat in this objective is the fact that Wellman won the top prize at the event, and her line will be shown at New York Fashion Week. This invaluable experience and exposure will hopefully take M-SEW to the next level. This two year old brand had its first showing at the Local Fashion Show last Wednesday. TABS (an acronym for 'The Authentic Bermuda Shorts') is committed to designing and even improving on the Bermuda short pant. Designer Rebecca Hanson has a background in marketing but saw a niche in the market and sought to introduce a more modern take on this traditionally Bermudian article of clothing. The collection showed the lines for both men and women as well as the new collaboration with artist Graham Foster and the multi-functional swimwear line which has been designed to go from shore to surf and back again. Hanson has also added a line of men's socks and belts to the brand and is focused on its continued expansion and innovation. 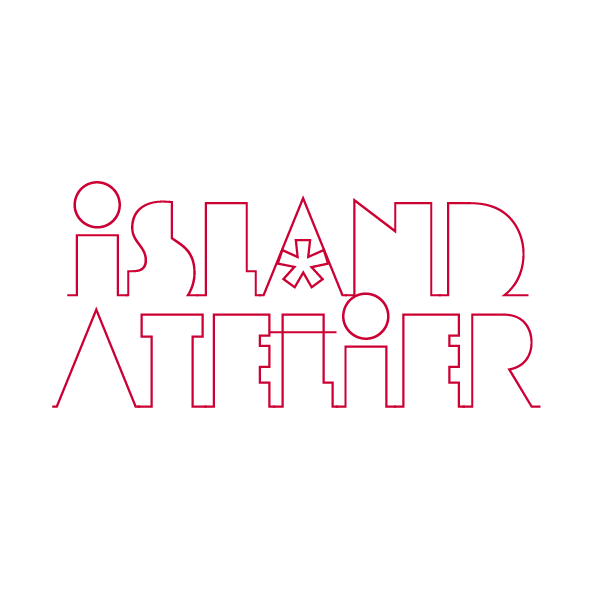 TABS is available online and from several retailers on island. We wrote about Brittany Wolffe several years ago. At that time through her line A Touch of Kima, she offered bespoke pieces and enjoyed a brisk trade repurposing vintage and secondhand articles of clothing. She has progressed in leaps and bounds since then and has also matured since she took part in last year's Local Designer Show. This time around, her sophomore offering was created under the guidance and mentorship of Tiffany Reid, American Fashion Market Editor at Allure magazine. There was a nautical 1970s theme and the clothes featured literal prints, stripes, dots and florals all with a vaguely retro silhouette. At the end of the night, Wolffe was awarded a special prize: a three-month internship with Interview magazine in New York which should be an invaluable experience for her. 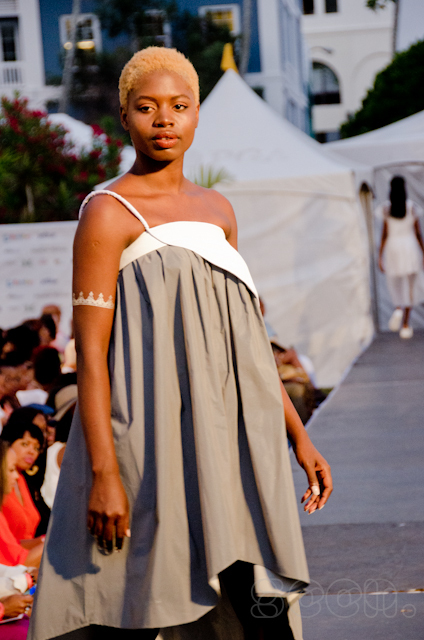 A youthful offering from Courtney Clay, the youngest designer to show on the night. Clay, who is currently enrolled in a foundation course at Central St Martin's, was mentored by Hannah Bibb, Associate Fashion Editor with Cosmopolitan and Seventeen magazines. Her collection was strongly influenced by the local Gombey tradition which was evidenced by the imagery and the use of fringe, as well as pop art. Nascent swimwear line Novah has been enjoying an incredibly strong social media and online presence since its formation in March of this year. Yes, you read that correctly: this highly polished swimwear line has been in existence for less than six months, but the combination of simple, yet interesting designs coupled with a tactical marketing push has meant that not only did the line secure a spot this year's Local Designer Showcase, but it was one of the more popular collections at the trunk show that was held on the following day. Designer Madeleine White studied interior architecture but fashion has always been a passion of hers. Mentored by Julia Gall, Senior Fashion Editor of Interview Magazine, the swimsuits look deceptively simple from the front but intricate straps provide interest from behind in most cases. The colours are all meant to compliment one another as tops and bottoms are interchangeable although a few pieces feature simple graphic or abstract patterns. At present, Novah Swimwear is sold primarily online but there are plans for the collection be available through retailers in time for next summer. 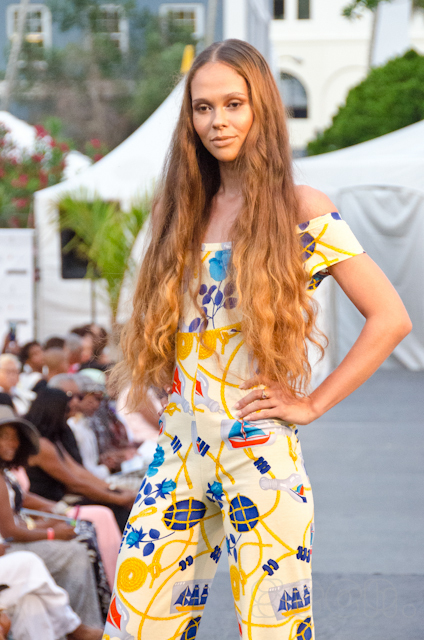 The Local Designer Show of the week-long Bermuda Fashion Festival was held last Wednesday and featured six designers with local roots. Last year's winner Alshante Foggo ensured that the evening got off to a great start with this visually arresting collection which featured her trademark colourful artwork and photo imagery on a bright white background. Unlike last year's offering, the clothes had more of an urban feel to them. Foggo, who was mentored by James DeMolet, Senior Fashion Editor with Cosmopolitan and Seventeen magazines, showed a wide range of pieces including simple t-shirt dresses, swimwear and menswear with colour-blocked and photorealistic portraits featuring prominently. Standout designs included cropped tops paired with softly flared skirts that had been overlaid with tulle and the models were accessorised with items that had been customised by Foggo. 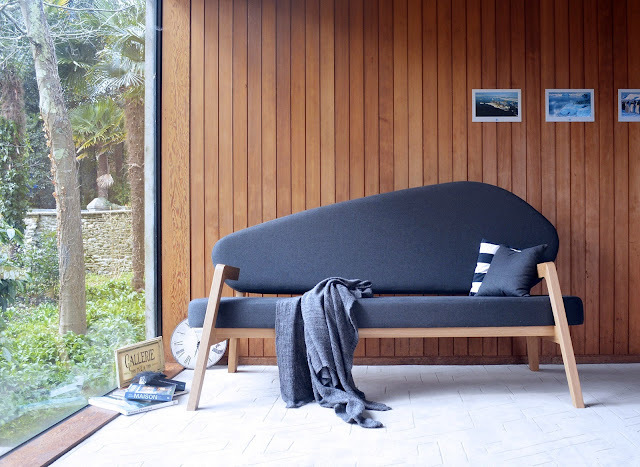 Gaël Manes, creator and founder of Minimalist éditions was inspired by nature and the majesty of the Kerloas menhir when he created this sofa of the same name. 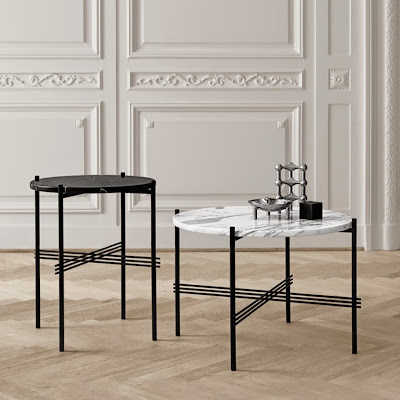 The Standard table or TS for short designed by Gamfratesi and manufactured by Gubi is inspired by the architecture of the building in Denmark that houses the Veranda restaurant. The tables have a metal base and a marble top which directly referenced the materials found in the original building. With summer finally here (in fact we seem to be suffering through a heat wave at the moment) there is no better time to stock up on beach toys which will be put to use incessantly over the next few weeks. There is also no reason to skimp on design as these beautifully rendered toys from Quut show. 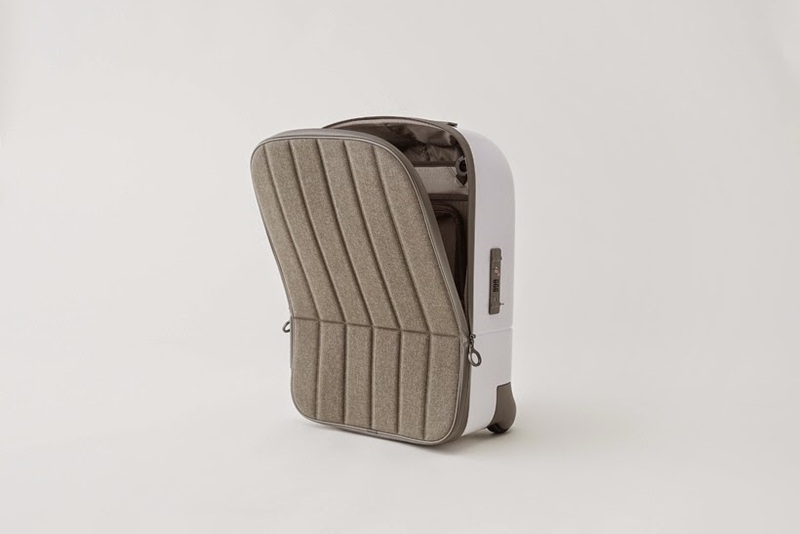 Quut was developed as a project by Pars Pro Toto, a well-regarded Belgian design agency with more than 20 years' experience in designing and engineering innovative products. They decided to make our own children's toys using durable, clever designs that offer fun and beauty for kids and parents to enjoy. Many of the toys are multifunctional with rakes doubling as sieves and funnels and shovels as mitts for catching games. 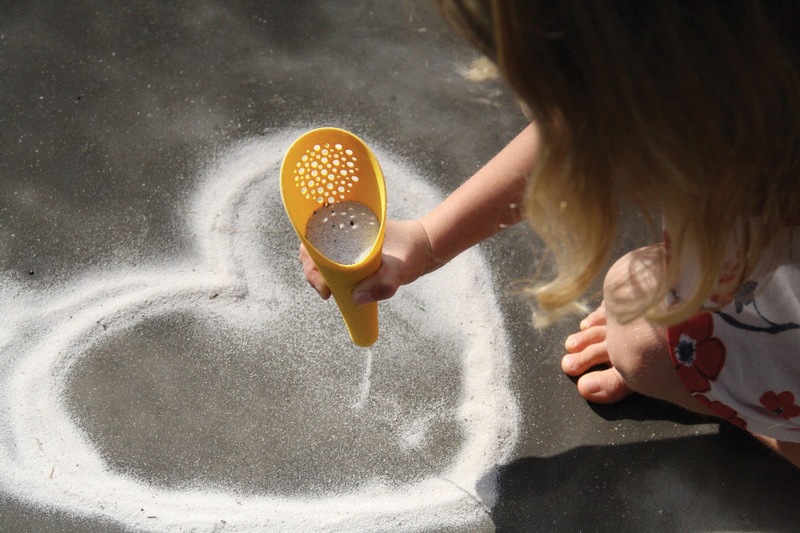 The Cuppi is a shovel, sieve and ball, all in one. The ergonomic shape is designed for small hands, bringing together three separate parts for a variety of activities. Use the shovel to scoop out sand castles and make tracks for the rolling ball. The two cups snap together for easy storage and transport. The Alto is a three-part toy that lets you build tiered sand castles like a pro - in fact it was inspired by the tools used by professional sand-builders. It has stackable, components which enable children to become expert at creating simple, solid structures without the need for multiple buckets. Perhaps the most remarkable toy is the Ballo bucket. Its spherical shape is surprisingly stable, resulting in minimal spills when carried by young hands. Carrying water from the sea to shore has never been this much fun! Quut toys are available on island at Robertson's. 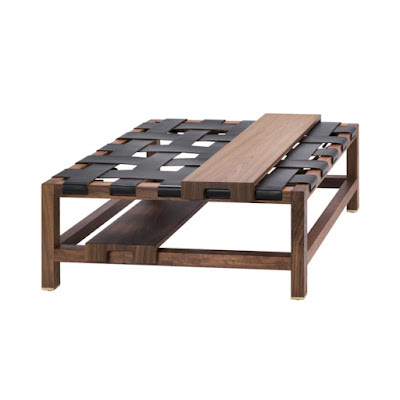 More beautiful, innovative South African design, this time from furniture design company De Steyl. Owned by former architect Deánne Viljoen, this modular range from the company's Play Pattern collection was shown at this year's Design Indaba Expo in Cape Town. The range lets you mix-and-match a number of drawers that can be affixed together. The drawers are covered in sleek and modern graphic designs by Renée Rossouw of pattern lab RR Studio and are an updated take on traditional South African patterns. Sbuffo, designed for Formabilio by design Studio Freemind, is a pendant and floor lamp moved by the evening breeze. It owes its name to its soft, rounded shape which is reminiscent of a sail. The large and elegant lampshade is made of metal sheet bent by skilled craftsmen and upholstered with a thin padding.